Country Style Ribs that you cook in the oven and finish on the grill. Perfect for tailgating! Everyone loves some tender ribs, covered in barbecue sauce. And I promise you will be licking your fingers with these ones. These are SO easy to make, you will find yourself putting them on the menu on a regular basis. And they really only have 4 ingredients! Who doesn’t love that?! I cook them in the oven so they get soft and tender, and then toss them on the grill with some barbecue sauce so it gets nice and caramelized. These are the perfect dish for grilling out, or taking to the big game for tailgating. You can cook them ahead of time and then just grill them at the game. Preheat oven to 350 degrees. Season both sides of the ribs with lots of salt and pepper. Place them on a foil covered baking sheet, then wrap more foil over the top and seal the edges. Bake the ribs for about 3 hours, or until they are as tender as you want them. Brush barbecue sauce over the ribs and grill that side, then brush sauce on the other side and grill that at as well. Let the sauce get nice and sticky before you flip the ribs. If you don't want to grill, you can place the sauced ribs under the broiler for a few minutes and let the sauce caramelize in there. Broil both sides of the ribs, with sauce on them. 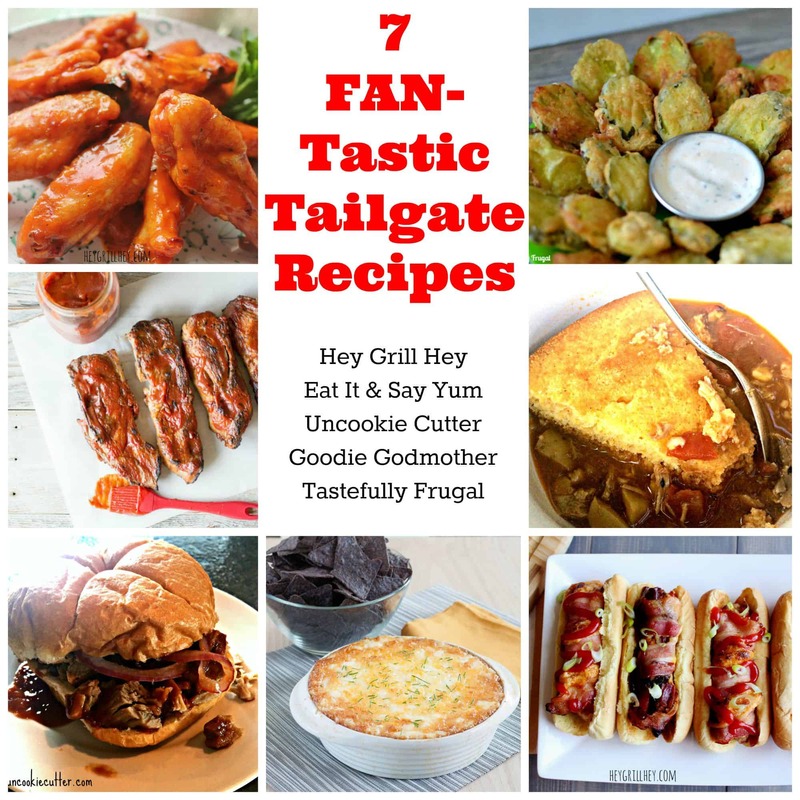 Check out these other DELICIOUS Tailgate recipes!